It’s not easy being the oldest of seven siblings, just ask Rachel Diaz in Disney Channel’s highly-acclaimed, hit TV show, Stuck in the Middle. We all love watching the many fantastic episodes of Stuck in the Middle and joining the fun adventures that the Diaz family go through in their everyday lives. Of course, one of the many things that we love about the show are the terrific cast-members including the remarkable and phenomenal Ronni Hawk. Ronni Hawk does such an incredible job portraying the role of “Rachel Diaz” on the show – she is definitely one of our favorite characters because of her sassy persona and her oh so chic and marvelous wardrobe. Whether it be on the show or in real life, Ronni Hawk is totally our #FashionGoals. Ronni Hawk is such an immensely talented actress and she has such an outstanding gift for acting. Ronni Hawk is so genuine and ravishing and she always looks so stunning whether it’s on the red carpet of an event or even just going around town. Ronni Hawk is truly spectacular! 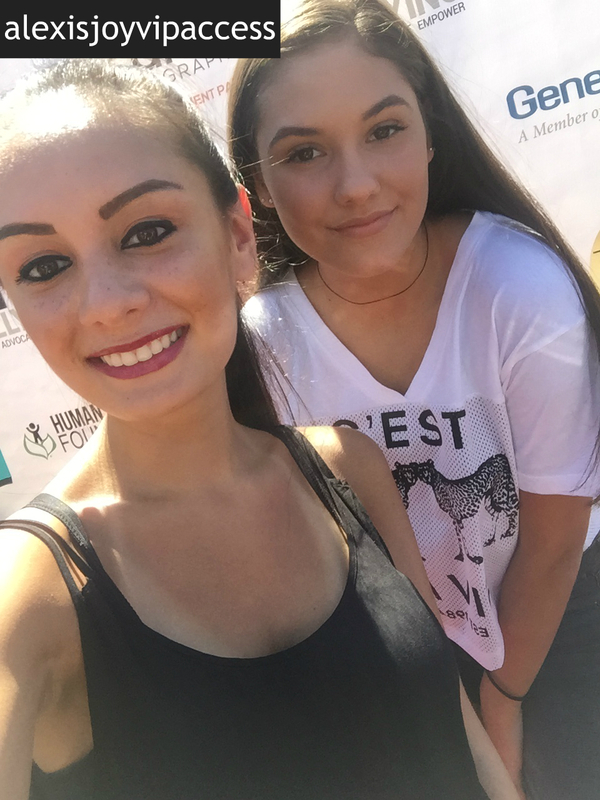 I, Alexisjoyvipaccess had the great pleasure of covering the inspiring Say NO Bullying Festival and had an awesome time catching up with and interviewing the lovely Ronni Hawk again at the event. Ronni Hawk dished exclusively to Alexisjoyvipaccess all about the one thing she would like to keep from the Stuck in the Middle set, what is a show she would like to guest-star on, and so much more only in our VIPAccessEXCLUSIVE updated interview. Ronni Hawk even spills on who she would like to see guest-star on the show – hear what she had to say in our VIPAccessEXCLUSIVE updated interview below! Thanks for another fun interview, Ronni! Check out my VIPAccessEXCLUSIVE updated interview with the beautiful Ronni Hawk at the Say NO Bullying Festival below! Previous VIPAccessEXCLUSIVE: The Fabulous Paris Smith Updated Interview With Alexisjoyvipaccess At The Say NO Bullying Festival! Next VIPAccessEXCLUSIVE: YouTube Sensation PatrickStarrr Interview With Alexisjoyvipaccess At The 2016 NYX FACE Awards!